Sports photographer Mark J. Rebilas was out shooting dragsters in Bakersfield when an oncoming nostalgia top fuel car made him run for his life. As he fled, he captured the last second in the life of his remote camera rig. 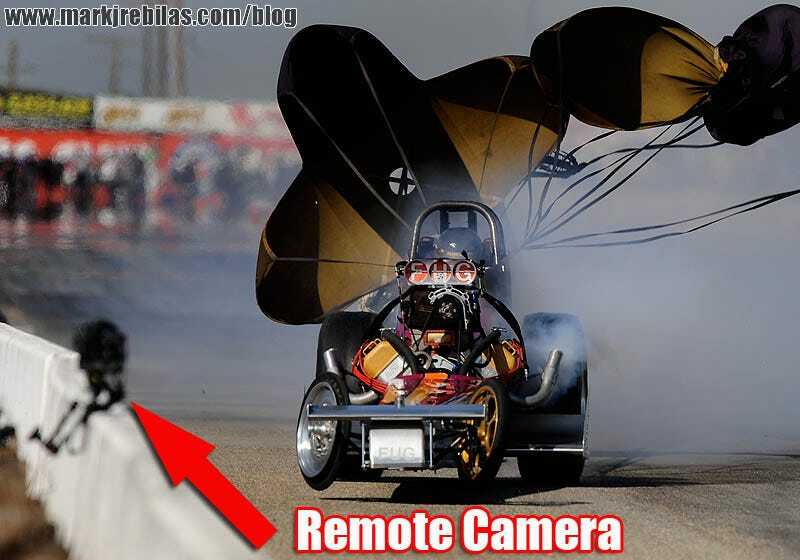 His remarkably chill postmortem reveals the actual chassis missing the camera but its parachute swooping in for the kill. Also, while it may be a bad day for one’s finances when it comes to purchasing its replacement, a giant 400mm telephoto lens looks splendid when in splinters. Photo Credit: Mark J. Rebilas. Hat tip to Anders Odeholm.